When Amazon picks your book up for promotion. I received a routine email from Amazon.com today, promoting five books I might be interested in for some reason or other. Nothing unusual in that, except of the five books displayed, MY OWN book was sitting at the top of the pile, winking back at me. Initially I laughed. The irony of Amazon promoting my own book to me! I took a screen shot and punted it out on Twitter, Ha-ha, look at this! Then I started to think about the reasons for it. Why had Amazon picked up my book to promote? And why did it get put at the top of the email? Later, a friend over in the UK replied that she had also received the same email. So I asked myself how many emails had gone out? There is no way of knowing, of course, but mine came from the US and I am presuming my friend's came from the UK (I'm waiting for confirmation). If these emails went out from both Amazon.com and Amazon.co.uk, then presumably they have gone out to a fair amount of people, especially considering I know somebody else who received one. What will this do to my figures? Will my sales increase as a result of this? Like most ebook authors, I monitor my book sales almost hourly. I have been paying close attention to my sales since January 1, since the day my book went gratis. I know exactly how many books have been downloaded each day for the last two months. I am due to post an update regarding the end of month figures for February this weekend. Meanwhile, I will monitor any increase in sales which might be down to the Amazon promo. I'm British, definitely. Very British? Probably, despite having lived abroad for the last 10 years. And I'm a writer, one who has just started out on the road to fame and fortune and everything that goes with it, I thank you all. Sorry, his lyrics were so good that they have a way of intruding on my thoughts. Back to this Very British Blog Tour. 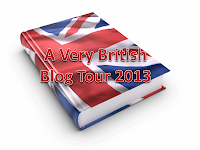 It's my first blog tour and probably the first of many many more to come. I don't really have the time for it (I should be writing my 15 books!) and I'm not really at the stage of my new career to really need it (I have but one humble offering out there). However, I've joined it because I need the experience of blog tours and I really like the sound of the Britishness of it. It was all started by Paul Anthony. The idea was that a British author has to answer six specific questions which are then posted on his/her blog, although the amount seems to have double since then! This author then invites other British authors to do the same, and as they answer the same questions their responses are linked to at the bottom of the original post. Thanks to Rosie Amber for her invite which is the reason for this post. Got it all? Good, neither do I, but keep reading and it'll all fall into place. 1. Where were you born and where do you live at the moment? I was born in the city of Derby, England and bought up in the small market town of Uttoxeter. I now live in Spain. 2. Have you always lived and worked in Britain or are you based elsewhere at the moment? I left Uttoxeter when I was eighteen, suffering from claustrophobia. I joined the military and spent the next six years based in Tidworth, a military garrison in Hampshire. From there I was sent to Belize, Mexico, Germany, the Falkland Islands and Cyprus. My posting there achieved its goal - for me to see a bit of the world. After the army I moved to Cambridge, a beautiful university town in the East of England. I spent the next twelve years there as a police officer, before walking away to become an English teacher in Spain. (I also happened to buy a house in Brazil). 3. Which is your favourite part of Britain? Ooh, that is such a difficult question. Despite being such a small island, the UK has so many places of outstanding natural beauty along with towns and cities steeped in history. I particularly love Cornwall, with its tiny fishing villages beautifully preserved (not to mention their delicious Cornish Pasties and Creamed Teas!). London is a place I can never tire of. Now that I live abroad I really miss my weekends in London - there is always something new to discover or stumble upon. It has to be one of the greatest cities in the world. But quite possibly - if pushed - I'd have to say the Lake District, a national park in the north west of England (just above Liverpool). It's where I spent my second honeymoon and is one of the most beautiful places in the UK. 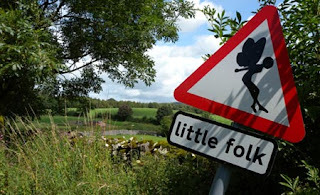 Not only is it likely that any visitor will be blown away by its beauty, but one can always visit the Poet Laureate William Wordsworth's house, along with Hill Top Farm, the home of Beatrix Potter (who loved the place so much that she bought up most of the land to protect it from development, bequeathing it to the nation in her will). 4. Have you highlighted or showcased any particular part of Britain in your books? For example, a town or city; a county, a monument or some well-known place or event? My series The Rozzers is a true-life memoir of my time in the police based in Cambridge (although in the books the town is called Oxbridge). I don't really identify the city to help protect myself from possible libel! Another series I have started to write (working title Dover Lord) is based on Dover Castle (the key to England), as a group of survivors meet there following the demise of civilisation as we know it. Interestingly, I have yet to visit the castle! The Humptybackcrocodillopig lives in East Anglia, and can be found at the bottom of my old home just outside of Cambridge (childrens' series), along with the Owlbatross and other strange animals. My magnus opus, The Dream Makers (a six-book serious of high fantasy) sees the protagonist make his way to a stone circle in Wiltshire - not the current Stonehenge. He sees what was constructed there 25,000 years earlier, and why it was constructed. 5. There is an illusion - or myth if you wish - about British people that I'd like you to discuss. Many see the Brits as 'stiff-upper lipped'. Do you think that is correct? One of the greatest things about leaving Britain is that you get a greater perspective on the country and its people, as well as learning what other nationalities have to say about us. I think the Brits vary just as much as any country of 90 million people do, and generalising does not work. What I mean is: whilst the older generation are generally 'keep-your-distance-or-I-might-catch-something', the youngsters are very continental kissy-cheeky. Brits apparently don't learn other languages, yet most of my work colleagues speak two or three other languages (I can get by in Spanish and understand Portuguese fairly well). The list goes on. What the Brits do have in common is: a love of alcohol (we can't have fun without it); a love of varied food; a love of pets over their own children and an incredible ability to produce great music (do you know that in 2012, British artists accounted for 12.5% of ALL world music sales?). Stiff-upper-lip? I think we are tough, having lived through the depravity of the 2nd world war when we stood alone against Hitler, and we don't like whingers or weaklings. It's tough, but I'd rather you didn't make a fuss, there's a good chap. 6. Do any of your characters carry the 'stiff-upper-lip', or are they all 'British Bulldog' and unique in their own way? Absolutely not! My characters are based on real people I have had the good fortune to meet in my life - real people with real feelings and issues, both British and foreign. James Bond has moved on from that, so must we! 7. Tell us about one of your recent books. I am writing (somewhere in the region of) fifteen books in total, but have only epublished one so far. End of the Road is a short story (15,000 words) and part one of The Rozzers, a five-part series based on my life as a UK cop. I have been amazed with the success of my humble offering so far; it spent 18 days at #1 on Amazon.com (Law Enforcement) and hit #8 in the UK for memoirs. It is currently free but you'll be expected to pay out for the next book (Cops Don't Run) which will be released in the next few months! Cops Don't Run is my focus at the moment. After the success of part one, I really want to get this one out there and earning some pennies! It's on its 2nd draft and will shortly be sent out to beta-readers for their opinions. Then I must turn my attentions to book 3 in the series as well as my first stand-alone novel, Filthy. Filthy tells the story of an English teacher out here in Spain who gets a job listening into phone-tappings of British gangsters on the Costa del Sol on behalf of the Spanish police. It all goes wrong when he heads down to the coast to where the operation's targets live. That's an easy one to answer - I don't have any! My wife and I have been running our own business out here in Spain for the last year and a half. It is growing and we are very pleased with it but it takes up all of our spare time! For example, in the next few months we are moving into newer, bigger premises. It's great to see it doing so well but spare time? If I do get any, I write and try to stay off the Twitter and everything else that indie-authors need to progress, which is difficult. 10. Do you write for a local audience or a global audience? I write for anybody who can read English! We're living in exciting times, there has never been a better time than now to be an author. My books will appeal to any British person, no matter where they might live. Filthy will appeal to English teachers around the globe, as much of it will hold true to the experience of those intrepid ex-pats in various, far-flung places as they try and teach students our much loved English language. The Dream Makers will appeal to fantasy fans everywhere, or anybody who has a passing interest in our dreams and why we have them. My audience is global, you can be sure of that. 11. Can you provide links to your work? Finally, why not join my Newsletter? Be the first to know. Now, from what I understand I need to invite other British authors to do the same as me (I've invited three so far - as soon as they respond, I'll link to them below). If you are a Britauth and would like an invite, please leave your details and request in the comments section below. First to respond is Deborah C Foulkes, a Yorkshire-based writer (click name to see her answers). Progress update - when giving away is fun! Since I epublished my first book last May (2012) it sold about 10 copies per month. It wasn't making me any real money and watching the stats was getting a tad tedious. So I came up with a great idea: Why not just give it away and get more readers? So I did, and this is what happened. I popped over to Smashwords and reduced the price to zero. I watched it carefully to see what would happen. First, Smashwords pumped the price change out to Sony etc over a week or so, but nothing really happened. The book was hardly moving, just as before. I kept checking to see if Amazon had price-matched but my book always seemed to be at the original price. Sales remained unchanged. Then, early January, things began to happen. I accidentally discovered that my book had been downloaded about 25 times on Amazon US. I had been missing these figures because they are difficult to see when checking my account, as they are off the screen over to the right. I hadn't been scrolling the list sideways. In the UK just a handful of downloads were recorded. And so began my addiction of checking the downloads every time I passed the computer. Watching those numbers grow and grow was too exciting to be ignored. And they did grow. I was soon in the top twenty and even top ten list in various categories, but then it began dropping down a bit before hovering around the #30 mark. I quickly updated the book info on Amazon's book description, quoting various reviews and making the book more buy-able to viewers (to see what I mean, have a quick look at my Book Description and Editorial Reviews over at Amazon.com). This worked, as the book began climbing again. By then end of January my book had been downloaded 155 times. That's 155 people walking around with my book on their device. The downloads were as follows. That is an average of 5 books per day, which is continuing into February. I watched with glee as Amazon's automation began promoting the book as 'authors who viewed this book also viewed...' etc. The book also began climbing the categories I had put it in. This morning, as I checked my book's progress, I yelled out and scared the wife. It was listed as #1 in Law Enforcement on Amazon.com. Let me say that gain, NUMBER ONE! Her only reply was, 'Yes dear, but that's because you are giving them away...' I had to explain to her that the other people who were competing against me were also giving them away, and that I was obviously doing a better job of giving them away than they were! I have other things planned to improve this book's sales, and the follow-up books, which I will tell you about in due course. So the groundwork has been set, and all I need to do now is get book two in the series out there, and hope that some of those readers of book one get around to leaving reviews, signing up for my newsletter and BUYING book two.